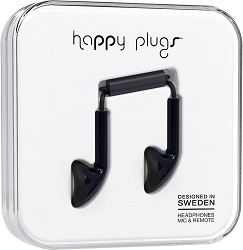 Add the best look, the best sound and the best price and you get the recipe that makes Happy Plugs Deluxe Edition, the world’s most unique headphones. Happy Plugs Earbud Gold is simply a whole new headphone experience for your stylish everyday life. It's jewelry and sound combined! Premium sound that also matches your style and mood. Finally, a stylus made specifically for your smartphone.